Historic preservations are popular city projects. Whether a booming Texas city is trying to preserve its historic downtown or nature parks want to install better amenities, renovation projects are a tricky mix of old and new. If your new renovation project has you modifying existing utilities or electrical systems near historic landmarks, turn to hydrovac excavation for more precise excavating. Target the utility lines precisely. It’s always challenging to find utilities and underground lines, even in well-planned cities. It can be even trickier if you’re working in an area that doesn’t have standardized layouts or complete records. A trained team of hydrovac technicians can locate the lines with a minimum of sod and soil disruption. This is even more important near old trees, cobbled walking paths, and other settings that need to be preserved. Contain the dirt away from the landscapes and buildings. When you’re working in an entirely new construction zone, there’s more room to shift the dirt aside and keep working. But if you’re expanding or renovating an already developed area, you have fewer options. Hydrovac trucks can contain the slurry of water and removed soil while excavation is underway. This keeps surrounding grass and landscaping safe. It also means you will have less cleanup at the end of the project. Keep the rest of the preservation efforts on schedule. 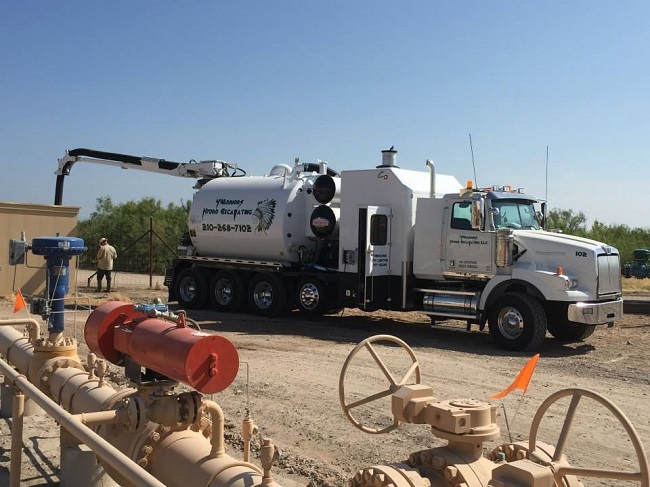 Hydrovac excavation is the superior choice for all daylighting, trenching, and excavation projects. It’s safer and less disruptive. You greatly reduce the odds of having a utility strike or emergency that slows the rest of the build. If you are undertaking a renovation or construction project at a historic preservation site or nature project, contact our team today. 4 Warriors Hydro Excavating will provide a team of experienced excavation technicians to unearth your utilities.